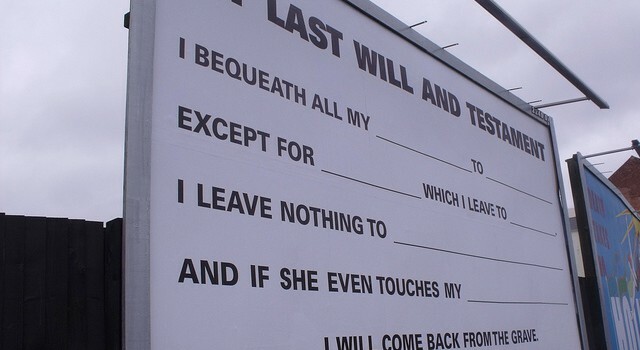 As you can see, wills are used to first record a true representation of a testator’s intentions and then ensure those intentions are carried out accordingly at death. Because a properly-drafted will can do much more than dispose of property, individuals owning any amount of property should have a will drafted. The disadvantages of an individual failing to prepare a will before death (dying “intestate”) can be numerous; the decedent’s family members could be unnecessarily forced to (a) make difficult decisions themselves in lieu of allowing the decedent’s true wishes to dictate, (b) involve the court system, and (c) pay large amounts of attorney/court fees. For these many reasons, all individuals should execute a properly-drafted will to avoid the often significant inconveniences of dying intestate. The content of this website is provided for informational or entertainment purposes only, and should not be construed as legal advice. Always consult with an attorney regarding any legal issues. If you live in Alabama, Florida, Missouri, New York or Wyoming, please click here for additional information.